Did you go to school for photography? No, I am completely self-taught. How long have you been in business? I have been shooting since I was a teenager in high school. I shot my first wedding in 2011. I became an official business and launched a full time wedding career in October 2016. Is photography your full time job? Yes! My husband and I own some coffee shops but running my own business keeps me busy! How much do you charge for a wedding? My wedding photography pricing currently starts at $3,800 for an nine hour wedding. I raise my prices each season to keep up with demand and maintaining the best equipment to better serve my clients. To secure my current prices you must sign a contract and pay a retainer. 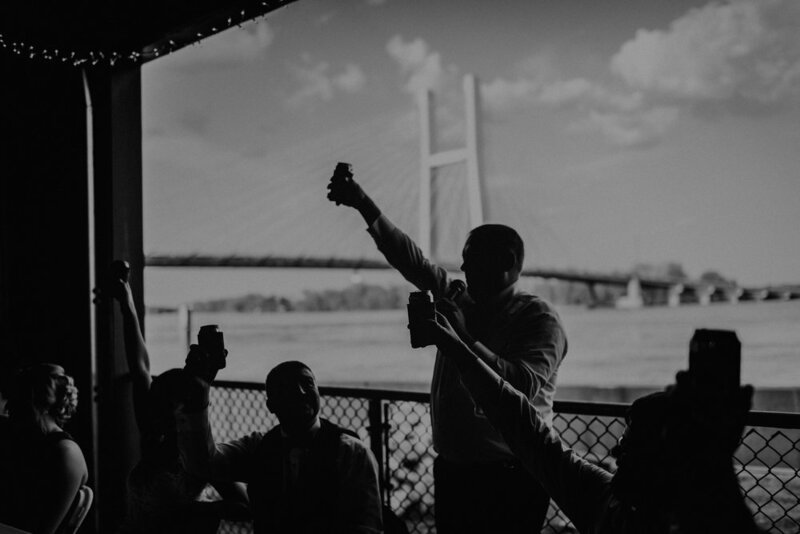 For full wedding pricing information please fill out a connect form and we'll chat. How much is a retainer for a wedding? I require a $1,400 retainer which goes towards the total cost of my wedding collection. Two subsequent payments follow based on when the wedding is with the final installment due one month before the wedding. 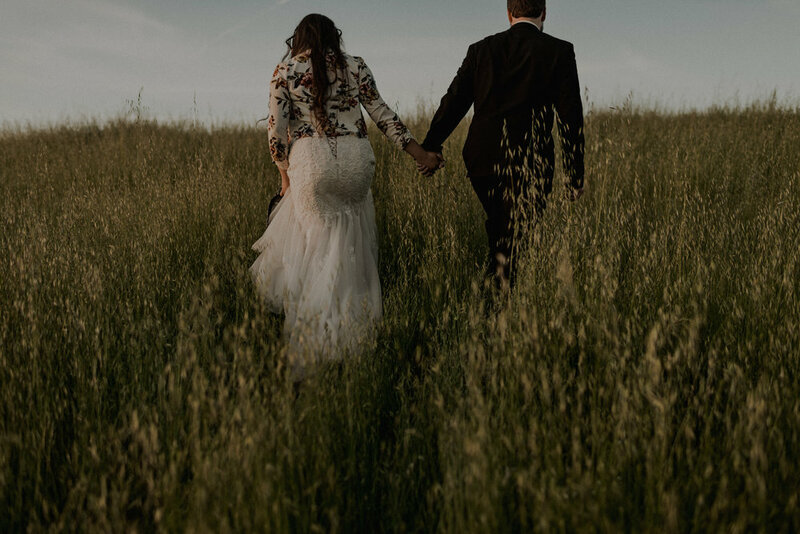 What is an elopement? An elopement can look like many different things. But at it's core, an elopement is a bride and a groom, getting married alone or perhaps 20 people max and a photographer. It's simple, sincere and it's all about your love and some great photos. 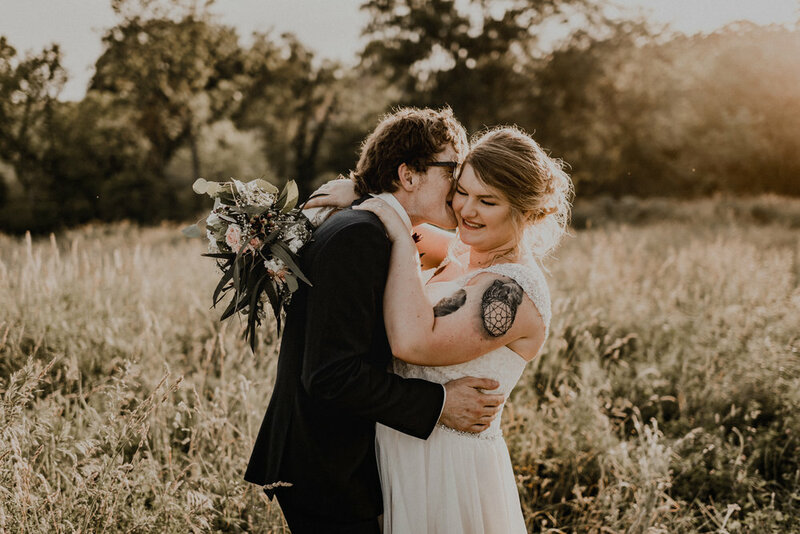 Fill out the contact form and tell me about your elopement and let's see if we can make some magic together. Do you offer discounts for non-weekend weddings/elopements? Yes, I do! I’d love to talk with you about your non-weekend wedding/elopement and create a custom quote based on your needs. Due to the rising demand of Friday and Sunday weddings I do not offer discounts for them any longer. Your wedding/elopement must be Monday-Thursday to receive a discount. Do you offer discounts for weddings that are in the "off-season"? No. It costs me the same amount of money and labor to shoot your wedding in June as it does in January. However, if it's a weekday, see above. How do you feel about shooting engagements and weddings on holidays? All depends which holiday. Send me a note and let's talk about it. Do you travel? Yes. I’m a traveler. That’s what I do. Do you offer discounts for destination weddings? Yes, I do a discounted, rounded quote for weddings outside the continental US. I have traveled to 25 countries around the globe and when it comes to destination weddings, I want to ease the burden on my couples so I take my travel and accommodations into my own hands and factor it all into one quote. Email me with your date and destination wedding location and I'll create a custom quote for you based on your specific needs. Have you ever shot international weddings? Yes, some of my first weddings ever were in Norway actually! What sort of travel compensation do you require? If your wedding is within a 4 hour drive for me, there is no travel cost. For weddings that are further than 4 hours for me to drive, I require flight cost, and/or mileage and parking compensation as well as two nights stay in a hotel. This can range from $300-700 in additional cost within the continental US. 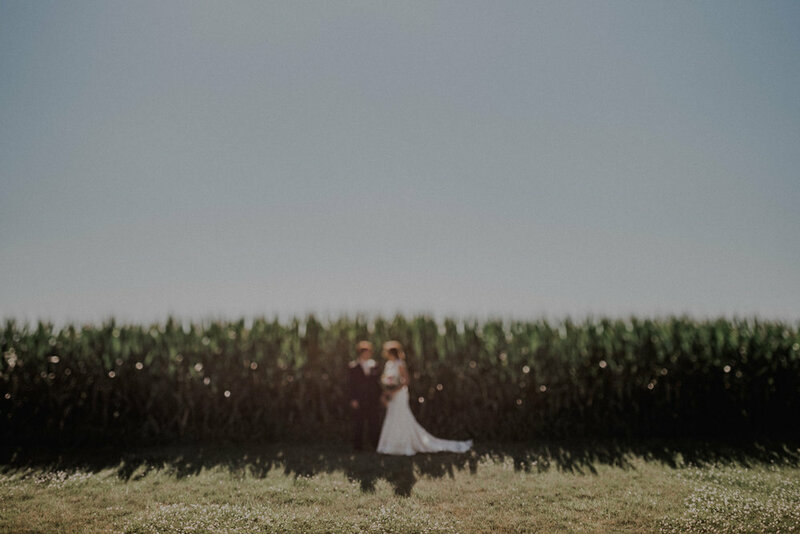 Where can I see full weddings that you’ve shot? Check out my blog for full stories including words or check out my portfolio page. Where can I see your most recent work and sneak peaks? On my social media, Instagram and Facebook. I try to post new content on each every single day. Do you offer prints? Yes. I have a professional lab partner that I adore and you can order through your session/wedding gallery when it is delivered. Do you offer print releases and digital downloads? All of my sessions include digital delivery and download. All of my weddings include a custom USB flash drive. What is a print release? A print release is a document I give to you that will allow you to legally print and reproduce your images for personal purposes. That document is not permission to edit your images in any way. Can I purchase a flash drive of my engagement session or wedding? Yes, you can. It costs $50 per flash drive. A free flash drive is included of your wedding with a Collection bookng. Hey, you take nice photos. What kind of camera do you use? I have quite a few cameras that I rotate shooting on but my chosen brand is Nikon. Can I have my RAW or unedited files from you? I'd like to edit them myself. The short answer is, no. A better answer is that yes, while I'm a whiz with a camera and you pay me for my technical skill and artistic eye, you are equally paying for my specific style and brand which really comes through in how I carefully hand-edit your images and I never want to give that up or stop delivering that consistent quality to all of my wonderful clients. Once I shoot a wedding, I consider my work only half done! Meticulously culling, curating and editing your wedding is an essential part of who I am and I'm proud to say that when I'm hired, each and every one of my client's images from first conception to final exporting have my personal touch on them. It's all about the love! With that in mind, I will never give out or sell my RAW files. It's nice that you do wedding photography. But what about other stuff, like senior sessions, newborn photography, family sessions, etc.? Except for continuing my relationship with my wedding couples, I do not at this time have capacity for non wedding and engagement work. Do you have a studio space? No, I am an on-location photographer with a home office. Are you a registered LLC., Sole Proprietorship, Corp, etc? My business is a registered S-Corp with the state of Iowa.